I think that The Pirate Planet is one of those Doctor Who stories which actually sounds more interesting on paper than what we end up with on screen. We've got a teleporting planet, Zanak, Zanak devours other planets like a vampire, draining them of their energy. 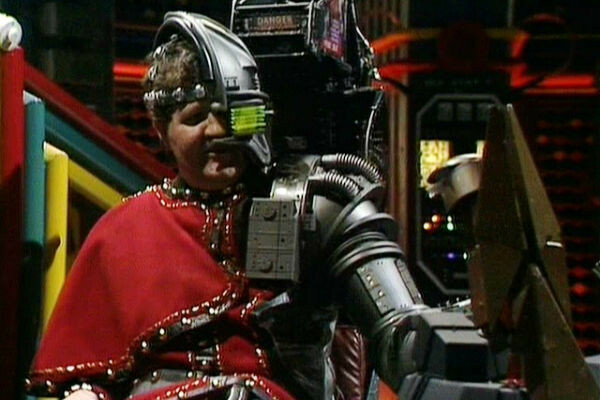 In command is a half-robot pirate captain with a robotic parrot on his shoulder. He rules through fear and bombast and harbours a secret plan of revenge that will eventually flip our understanding of the story. It even features a fight between the robot parrot and K-9. There's a cult of creepy, near invincible telepaths and is a story about the dark-side of capitalism and the wilful blindness of those who benefit from it. But The Pirate Planet's biggest claim to fame is that it is written by author of The Hitchhiker's Guide To The Galaxy, Douglas Adams. Adams proved exactly to be the sort of writer you would want to inject some needed humour into the series. Something which the sixteenth series was striving for with the Doctor embarking on an adventure which would see him assemble the six segments of The Key To Time. 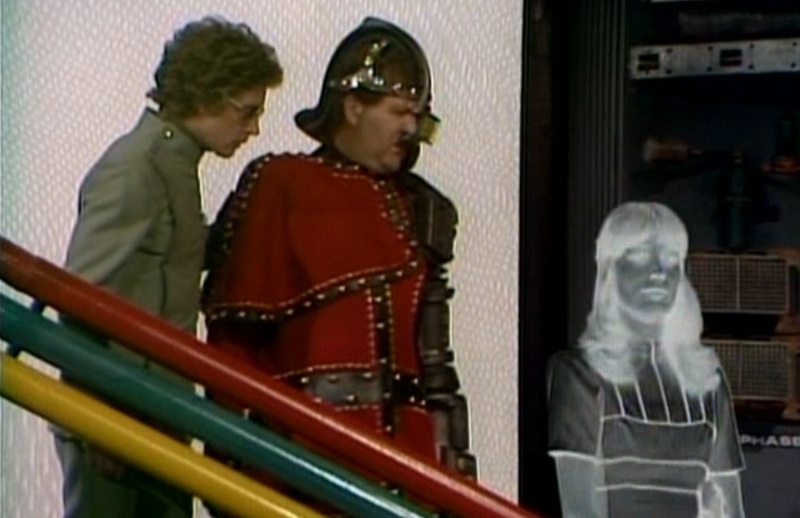 But despite the fun and comedic moments which are featured throughout the story, it is also dull and incredibly boring in places, before it picks up steam once more in the final episode. What makes it worse is that it is almost ruined by the performance of Bruce Purchase as the Captain who ranks, in my opinion, as one of the worst villains in the history of the show. Series sixteen was the second year for Graham Williams as producer. He was under strict orders to tone down the horror and violence that had caused scandal during the time of the previous producer, Phillip Hinchcliffe. Of course, there was no way of removing horror and monsters from the show without driving a stake through its very heart. I'm not sure that Williams had intended for the silliness to get as far as it did but under his eye, the show didn't take things, or itself, seriously anymore. Williams decided to focus more on giving the show a lighter touch and introducing elements that would please the children watching, such as giving the Doctor a robot companion in the shape of a dog called, K-9. 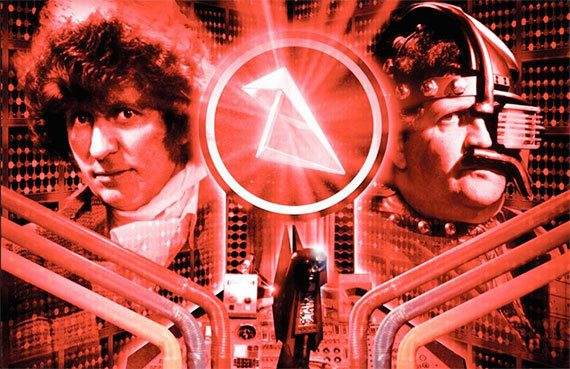 A corner stone of the Williams era was series sixteen, which would see the Doctor on a quest that would last through all the stories in that series, with his search for the segments of The Key to Time. The Key was desired by two god-like figures, the White and Black Guardians, one would use it for good, the other evil. 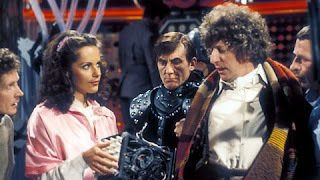 The Doctor was also given a new companion in the form of Romana, played by Mary Tamm, who would work as an excellent foil for Tom Baker's erratic performance of the Fourth Doctor. The opening story, The Ribos Operation would set the storyline up, albeit with small stakes as the majority of the story focused on a con job. It is unfortunate that the rest of the season wouldn't reach the height that The Ribos Operation did, but all of them, except for the finale, were solid and entertaining stories, which would help to push the following series up in popularity when City of Death saw the series bringing in its highest ratings to date. In hindsight, going for the lighter approach was right for this particular time in Doctor Who's history, which usually worked best with a mixture of humour and horror. A fair argument could be put forward that stories like The Seeds of Doom and The Deadly Assassin, pushed the series too far and it is ironic that the comedy featured in The Pirate Planet was criticized by the very people at the BBC who wanted it! The Doctor is such a non-traditional hero that he is perfect for the quirkier stories, in any of his incarnations but particularly for Baker's Fourth Doctor. If I really think about it, as much as I love the scarier stories, the show loses something when it doesn't travel through time so much, something which it needed to do after he seemingly travelled from nightmare to nightmare. The show would have been no fun if it had stuck to that routine. And the tiny budget that an entire series of the show was given meant that we would never get effects along the lines of major motion pictures. So by making fun of itself, it was a nice way for it to wink at the audience and ask them to suspend their disbelief about the cardboard sets and meet halfway. The Pirate Planet was written by Douglas Adams at the same time as he was writing Hitchhiker's Guide for the radio and it is obvious to draw comparisons between the two. The free-wheeling heroes, who move from place to place who work as a force for chaos in order. In both of his work's, Adams gives us an elaborately structured, ambitious science fiction plot was disguised in a layer of sillier genre clichés. For this story, it is the silly Captain character who is at first presented as an insanely violent, megalomaniac whose mannerisms are a real parody of the shoutier villains the show has offered us. But Adams' stories often run the risk of descending into an overacted, campy mess, if it isn't played carefully. This is a particular danger for someone like Tom Baker, whose acting got more and more over the top as the series went on. His worst habits are only just beginning to show here, but his moments of silliness are well counterbalanced by his outrage at Zanak's global-scale strip-mining operation, which has the nasty side-effect of killing all the occupants of the planet. Watching the story, it is obvious that director, Pennant Roberts, had taken the script at face value and was in no way interested in bringing out the subtler aspects of Adams' writing and through the performances of the actors. The thing about the captain is that he is supposed to a violent, crushing bore but its put on to stop Zanak's real ruler, Queen Xanxia, from realising that he has been putting together a trap to kill her, even though he will be forced to take responsibility for the atrocities that she has done. And the trophy room he has created with the leftovers from the planets he has subjugated is something that only a monster would create for himself. Making it less obvious that she'll realise he is building it to glorify himself. In the genre of pirate stories, there is usually an undercurrent of vengeance and vendetta running through them, and this is something that Adams' script picks up and runs with. Given Purchase's appearance, I think the creators expected him to play the character as more of your typical pirate. Adams came up with a dangerously ambitious concept around the character of the Captain, but it would have been difficult in any case to pull off an idea that that someone who epitomises the laziest of clichés before revealing at the very end that everything has just been an act. What this particular character needed was an actor who could play both blustery and devious which would have given him more of a hint that he was up to something. Ironically though, Adams' script features a line that functions as a rather acidic putdown for the Captain, even if he broke free of his control, he wouldn't know what to do with the universe beyond shout at it.